American Mobile Retail Association: April Webinars: Start A Fashion Truck Business and Creating the Customer Experience! 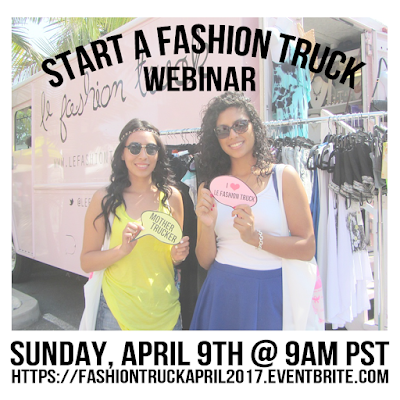 April Webinars: Start A Fashion Truck Business and Creating the Customer Experience! Are you planning to start a fashion truck business or a mobile retail business and need help getting started? Or do you own a retail business want to grow your customer base? Join our "Start a Fashion Truck Business" webinar hosted by Le Fashion Truck and "Creating the Customer Experience" webinar hosted by Out Of My Kloset! Securing new and repeat customers for your retail business.